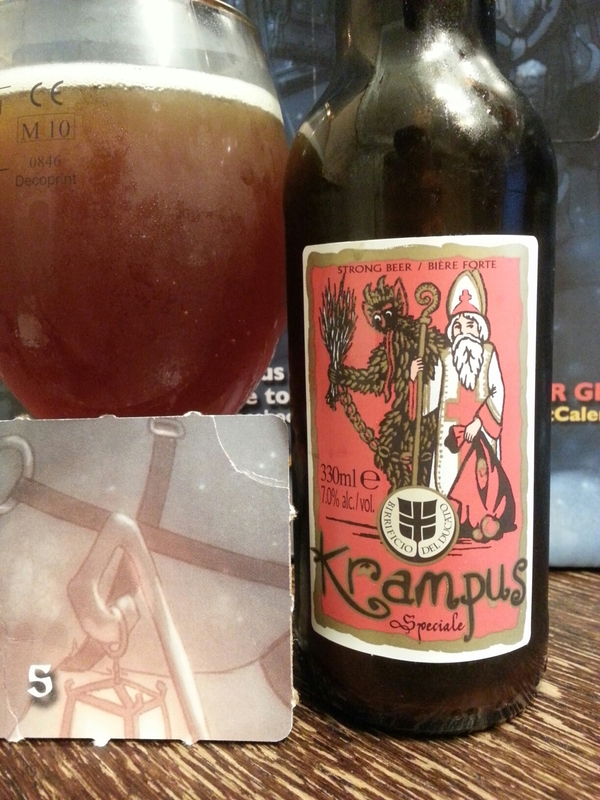 The Craft BeerAdvent Calendar 2014 Day #5 – Krampus Speciale (Sour Ale) | Justintoxicated. Visual: Pours reddish brown with a small dissipating head, ringed retention, scattered steady micro streams. Summary: Knee-jerkingly, whiplashin’, scrunched-facingly sour; This one is not for those adverse to sour ales. Flavours aren’t bad, it’s just way too sour for me to enjoy properly.